Home » Daily Encouragement » Don’t Worry. Be Happy. When I was younger, Bobby McFerrin came out with a hit song. You’re probably familiar with it. 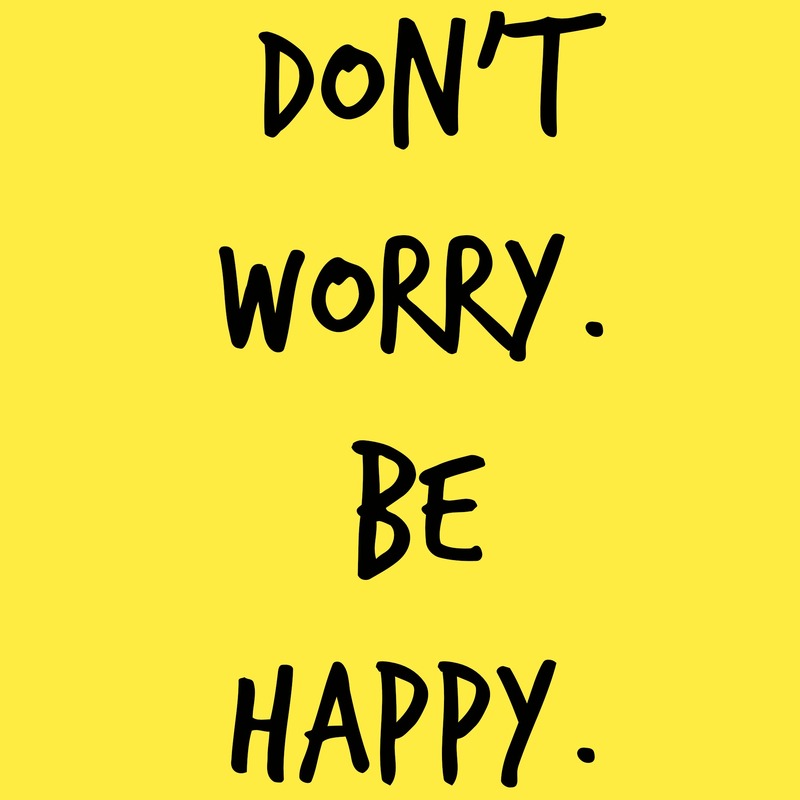 The lyric goes, “Don’t worry, be happy.” It’s terribly catchy. You’ll probably be singing it for the rest of the day. You’re welcome. I’ve been pondering worry and the front-row seat I’ve given it inside my brain, and those lyrics kept coming to mind. As I thought about them, I realized I’d never stopped to consider just what they mean. Don’t worry. Be happy. It’s a choice. You can’t choose both. Worry or happiness. When your life is consumed by worry, you’re not able to experience happiness. The two feelings do not and cannot coexist. You have a choice to make. Worry or happiness? When I am focused on the things which cause me to worry, I’m short-tempered, stressed, mentally exhausted, tire more easily, am irritable, and easily frustrated. I spend less time with my family, less time on creative pursuits, and find it difficult to concentrate on work-related tasks. My personal life suffers when I worry. My career suffers when I worry. My relationships suffer when I worry. My spiritual health suffers when I worry. And so often, when faced with the choice between worry and happiness, I run as fast as I can into the arms of worry. Why is worry so alluring? Why do we give in to such a negative endeavor time and time again? Worry offers a false sense of control. When we worry, we feel like we’ll be able to manipulate or change the situation we are in. If we only dwell on it long enough….If we only work through every possible scenario…We have tricked ourselves into believing that fixating on things out of our control gives us control. When in reality, worrying may actually decrease our control, as it tends to eliminate rational thought, hope, and optimism. When our spirit is crushed, we’re less likely to try. When we believe the worst will happen, we never take a risk. We get stuck – stuck in the land of negativity, and often despair. Sounds fun right? By all means, take ownership of what you CAN control. Act when you can act. Resolve issues when you can. Take action steps to alleviate concerns. But for the sake of your overall emotional/mental/spiritual/physical health and potential happiness, let the rest of it go. When we drop the burdens of worry and release what we cannot control or change, our life tends to improve. Our situations and circumstances may not, but WE do. We start to look through the lens of contentment. We trust more. We focus on the haves instead of the have-nots. Optimism slowly begins to return as we think of what could be instead of what might happen to us. We become an active player in our life, instead of a victim waiting to happen. Ditching worry changes everything. So, don’t worry. Be happy.